Skiing; 1,300 - 2,810m (4,270 - 9,220ft). No: 90: 25% beginner, 50% intermediate, 25% advanced. 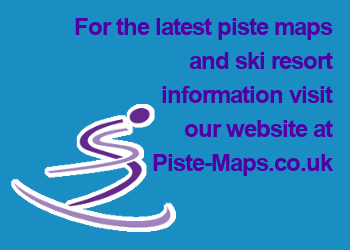 277km (172 miles) groomed runs; 176km (109 miles) off-piste. Terrain Parks: Yes. Half Pipe: Yes. Linked Resorts: Lech, Zűrs. Day trips to Courmayer. Large ski areas; traditional alpine villages; snow-sure slopes. Difficult beginner slopes in St Anton; Zűrs can close after heavy snow; Lech can be expensive. St Anton's south-facing slopes can get slushy by the end of the day, particularly in spring. St Anton am Arlberg is one of Best Ski Resorts In Europe, with high annual snow fall, extensive, varied terrain, and challenging on and off piste skiing. St Anton’s main ski area is of the interconnected mountains of Gampen and Kapall above St Anton, Galzig and Valluga to the north, and Rendl to the south. Much of the best skiing begins at Galzig, 2,185m, can be reached directly from St Anton village via the main Galzig cable car or by skiing across from Gampen, 1,850m, and taking the Zammermoos chairlift. There is great skiing above Galzig on Valluga, 2,811m or Schindlergrat, 2,605m, with access to a number of classic red and black ski routes as well as fantastic views of the Arlberg and incredible off piste . From just below the Valluga summit, reached via The Valluga I cable-car, is one of the great intermediate skiing runs in Europe. The piste from the Vallugagra, 2650m is filled with hundreds of turns as you work your way down for at least an hour to the valley floor. Expert Skiers can take the Valluga II cable car to the top of the Valluga. Then, accompanied by a guide, make a difficult climb, then ski down into Zürs. You’ll find less challenging skiing further down, on the massive mogul field off the Tanzboden lift, or take the Schindlergrat triple and to the groomed Ulmerhutte or challenge yourself on the unpisted itinerarys; Schindler Kar, red 15, or the Mattunjoch, red 16 . The village of St. Christoph, which sits along the crown of the Arlberg Pass, is the other base station for skiing this side of St. Anton. St Anton has great blue and red runs for beginners, there is also good beginners skiing to be had by taking the quad chair from the base at St. Christoph up to the Galzig area. The other ski area on this side of St. Anton is the Kapall, a 2330m summit with a blue piste, Fasch 36 and the red piste, Gstans 37, to the Gampen midstation at 1850m. From Gampen take any of a number of pistes through the trees into St Anton, or drop over the ridge, red 20a into the Steissbachtal and take the blue piste Zammermoos-St Anton back into the village. Head to St Anton’s third ski area, Rendl, for somewhere a little quieter. The Rendl Gondola that serves these slopes is connected via free ski shuttle bus or a 2 minute walk and ski tow from the centre of St Anton. The mountain is shaded in the morning, which means it can be icy; however, by afternoon the snow can be better shape than in the rest of St. Anton, most notably in the spring. The powder lasts longer here as well and there is some steep challenging terrain especially off of the top. At the top of the Rendl Gondola is a wide, open ski area, with good slopes for both beginners and intermediates. The Riffel I & II chairlifts allow intermediate and advanced skiers to head up to Riffelscharte, 2,645 m, from where there are challenging on and off piste descents. The best intermediate run is from the Gampberg summit back into St Anton. St. Anton is overwhelmingly red and blue on the ski piste map, ideal for Intermediates, but with plenty of challenges for the expert skiers. Although Lech and Zürs cover all the levels, prepared pistes favour the intermediate skiers and better. Expert skiers will never get bored thanks to the wide-open expanses of off piste powder that is among the best in Europe. Real experts can find off-piste and out of bounds places that will take their breath away. There is really something for everyone here. Heliskiing on the Mehlsack (2,652m) or the Schneetali (2,450m), ending in Seitenal Zug near Lech. Price per flight for max. 4 persons, inc ski guide. Stuben is small with only a few lifts, the best run is an intermediate, from the Albona Grat. Stuben is connected with St. Anton/St. Christoph by the blue-rated trail from the Albona midstation to a crossover tow at Alpe Rauz. From there, take the chair lift to Pfannenkopf and work your way down into St. Anton. St. Anton am Arlberg has around 40kms of cross-country skiing tracks. St. Christoph 2,5km of intermediate level, high altitude track featuring skating track (altitude: 1,800m), pefect meeting point for alpine skiers. Stanzertal, 22 km, starting right next to Wertstoffhof farm at the Aubrücke bridge. Easy track along the Rosanna river leading to Flirsch. Ganderau 3km, starting east of Hotel Tirolerhof; easy loop trail, dogs allowed. Connected to the Stanzertal track. Verwall 10 km. Outstanding track at 200 m from Hotel Mooserkreuz. Slight ascents, easy descents leading across the romantic Verwalltal valley, past the homey inn and the water reservoir.